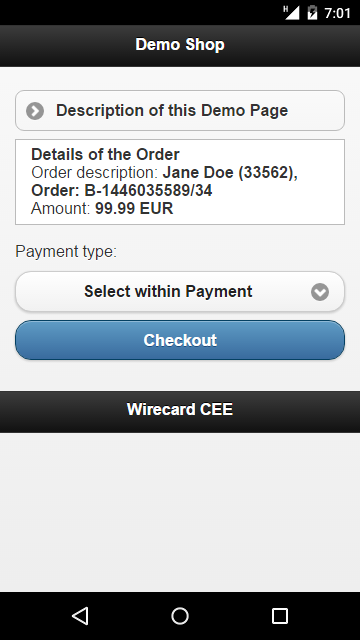 Wirecard Checkout Page supports all popular payment methods (credit cards, SEPA Direct Debit, invoice, etc.) and allows to safely accept payments while at the same time fulfilling PCI DSS compliance. Wirecard Checkout Page is designed to meet the ambitious demands of merchants offering a wide range of payment methods while at the same time fulfilling PCI DSS compliance. National and international payment methods: credit cards, debit cards, online banking payments, mobile payment solutions and other alternative payment methods. One interface for all payment methods. Intuitive user interface in more than 25 languages and 120 currencies. Layout and design customizable to meet the needs of our merchants (customized look-and-feel). Payment page compatible with mobile devices. Comprehensive range of effective fraud prevention tools. 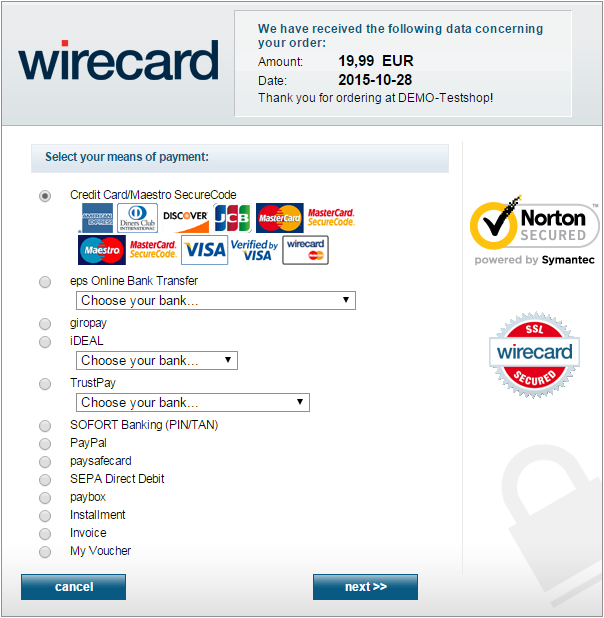 PCI DSS 3 compliant, no PCI certification necessary for merchants. Easy to add new payment methods, additional features, languages and currencies, etc. 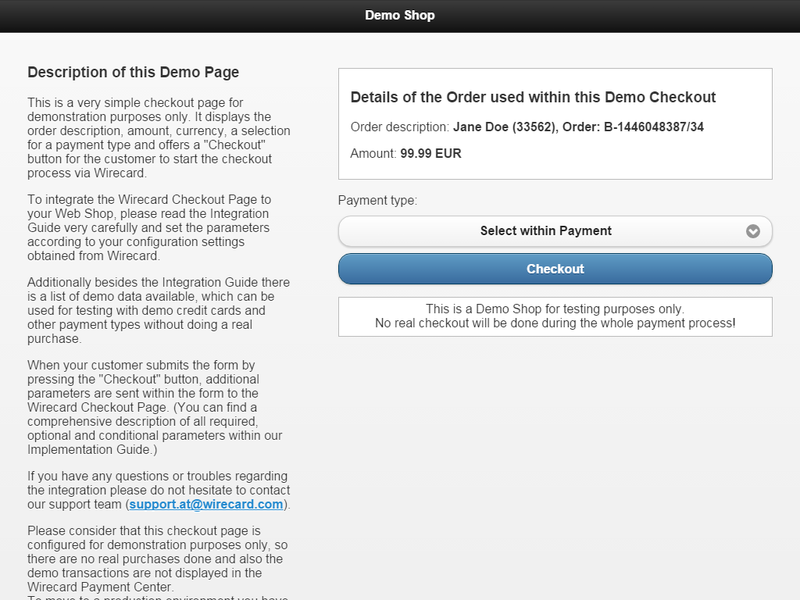 Web interface for managing payments (approvals, cancelations, credits, etc.). Benefit from Wirecard Bank´s license to conclude credit card acceptance contracts (acquiring) and issue credit cards. With Wirecard Collecting only a single contract is required for payouts within various payment methods. Support of recurring payments (subscriptions, one-click checkout). Since 2000, Wirecard AG offers modern technology in developing international payment strategies. With payment service provider experience since 2000 on the market, Wirecard AG offers more than 20,000 customers state-of-the-art technology, transparent real time reporting services and support in developing their international payment strategies: offline, online or mobile.